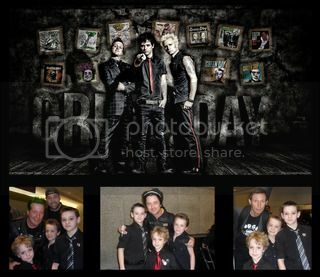 Back in April 2015, my favorite band, Green Day, was in town to be inducted into the Rock and Roll Hall of Fame. Billie Joe and Mike both signed a pick guard for me. Tre Cool signed a drum head. 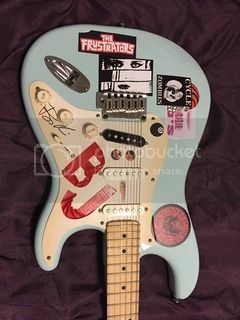 Since then, I have pieced together the parts to make a Billie Joe replica of his guitar "Blue", minus the years of abuse the actual one seems to have endured:). Very cool! 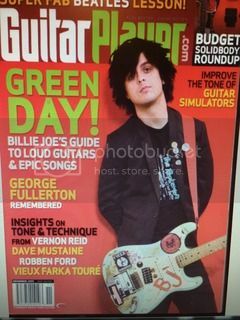 Green Day was one of my favorite bands back in the day! I saw them at Woodstock '94 right before they hit it big. They put on a great set as mud was flying everywhere. What great memories!